PALMISTRY HD- ARE YOUR READY? Want to know about your Love, Life, Relationships, Fate, Health or future? Don’t have enough time and money to go to the Astrologers for palm reading and knowing your horoscope? Well, this is the common problem of today’s youth because of their busy schedule and other issues. However, you might have forgotten that you’re living in this techy world where every task can be performed online without any hassle. So why not online Palmistry? However, some people don’t believe in these things while some truly believes. For those who love and believe, we have an app where you can discover your fate and many more things related to your life. It’s called “Palmistry HD”. It’s a palm reading app where you can see palm reading as well as see your horoscope. Palmistry HD- Palm Reading and Daily Horoscope has been developed by Online Commerce Group. The app has been compatible with all the latest version of Android Operating Systems. To begin with Palmistry HD, you can either start a free trial or buy the package. The free trial will only tell about 4 lines of your palm while the full package will show you the full description of everything. However, you can first try it and then decide further. Firstly, you need to enter your name and date of birth and choose your Gender. Now, if you choose palm reading then take a photo of your palm- left for women and right for men and it’ll be automatically analysed by its powerful biometric algorithm. Then finally, you can see your palm reading instantly. The four major lines of our palm, i.e. Life line, Heart line, Headline and Fate line are being analyzed through the app. All these lines have a different role in one’s life. The major topics that will be covered under this palm reading are love and relationships, Fitness and Health, Success and Happiness and Career and Money. So you can see everything related to your destiny within a few minutes. However, it may not be true always. But keep learning and making efforts in your life to change your fate! If you choose horoscope, you can choose your zodiac sign and see your daily horoscope to know what astrology and the planets have in store for you today to get prepared already! Palmistry HD is very helpful is solving every query of your life, whether you’ll find your true love, will you struggle in your life, will you live a long and healthy life, will you live in wealth and luxury and many more queries. 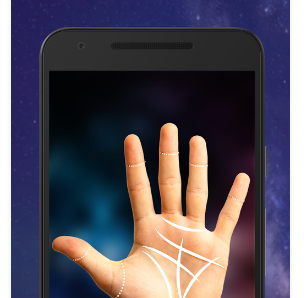 With this palm reading app, you’ll get all the answers from our experts in astrology! One thing I must advise you is that try to hide this app from your children because if they try to know their future they will expect more and do nothing. However, you can see and consult it, but don’t act blindly. Remember, it’s only you who can change your destiny if you’re fully determined! 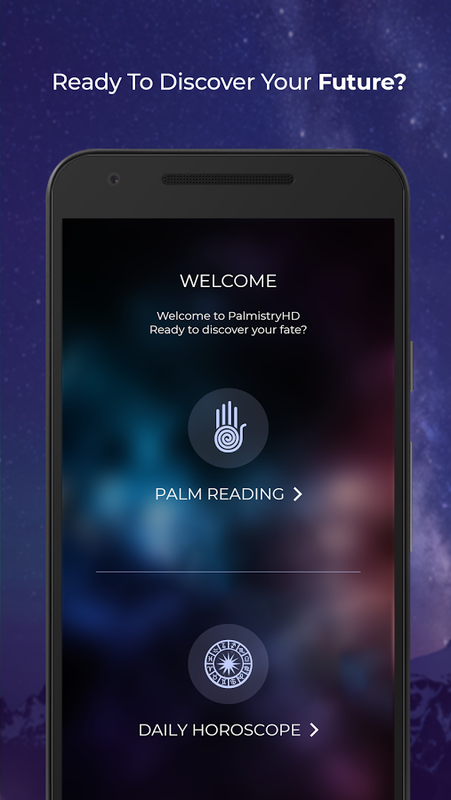 Palmistry HD is showing you only a path for preparing yourself in every situation of your life! Overall, Palmistry HD is a great app to discover your fate when you’re feeling that the planets are not favorable to you. So start checking your daily horoscope for your zodiac signs instantly with Palmistry HD now! Are you ready to discover your fate with this awesome palm reading app? Pros: ultimate fortune telling app; palm reading and daily horoscope; provides detailed information about your 4 major palm lines; accurate results; shows results within minutes; saves time and money; offers a free trial.